I enjoy weekly hikes at a local wildlife sanctuary (Helen and Allan Cruickshank Sanctuary) where numerous species of birds and animals can often be found. 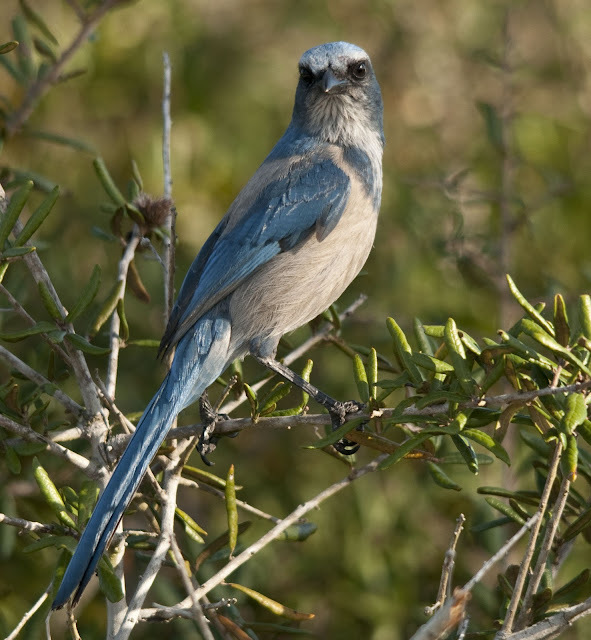 The most popular of the inhabitants at the sanctuary are the Florida Scub-Jays, which are currently classified as Threatened under the Endangered Species Act. 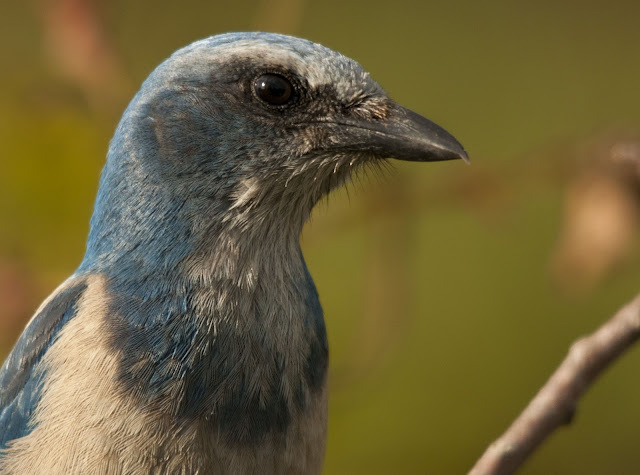 This sanctuary provides the delicate habitat of oak scrub that Scrub-Jays require to survive. Scrub-Jays are beautiful songbirds, that are actually very bold at this location. They will land on your hand if extended or on your head while you are standing still, and that is without any baiting with food! 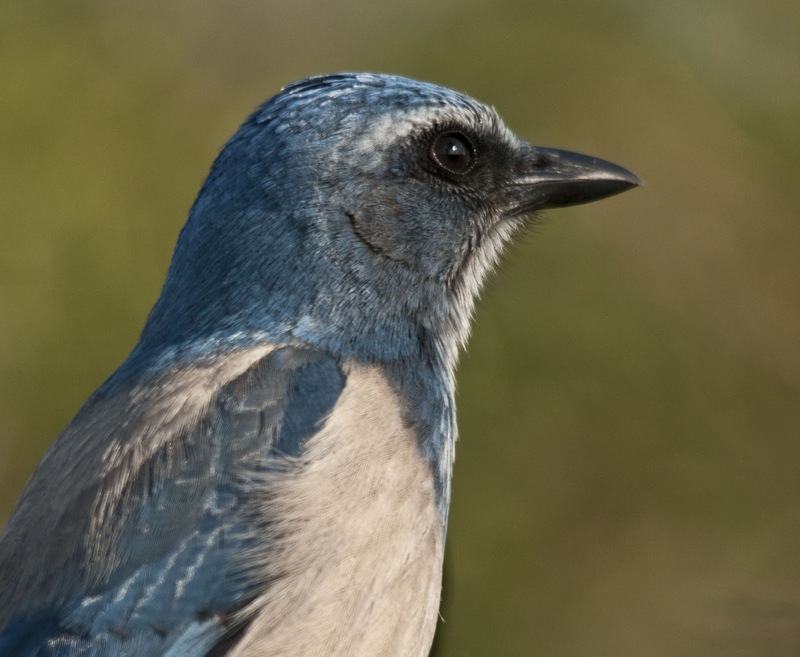 There are a lot of quirks about the North American Scrub Jays. They're beautiful and beastly all at once. I've seen them fight to the (near) death over a peanut. 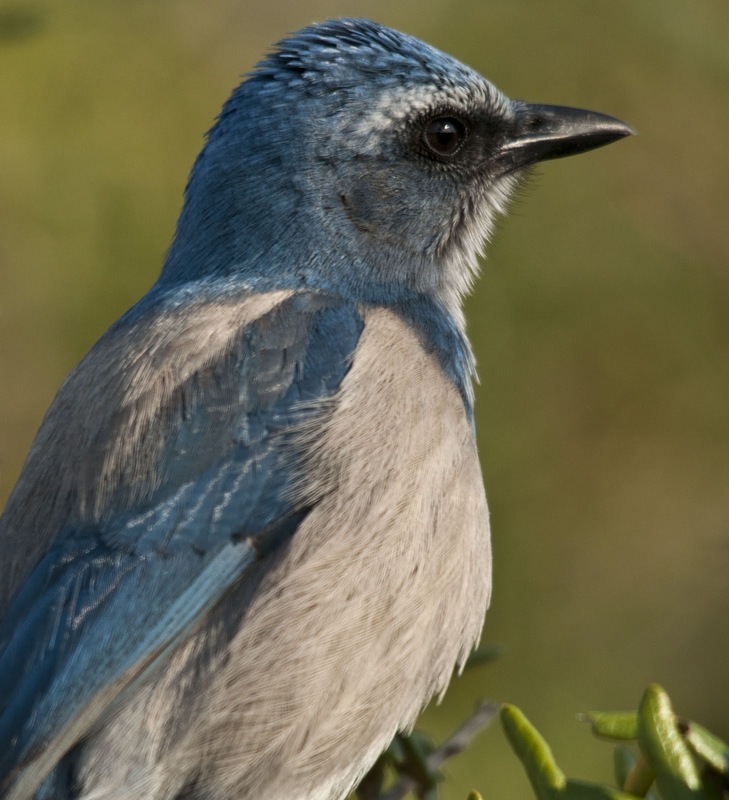 There's the Santa Cruz Island breed on the West coast, and the Florida Scrub Jay on the east coast--two of the most restricted ranges/habitats of any bird in North America. I often wonder why they all get to have their own separate species classification, but all 5 different kinds of dark-eyed juncos are still kept as once species. Anyway, that was a ramble. Great photos, thanks for posting! Even when the animals are close a photographer's work is not done. 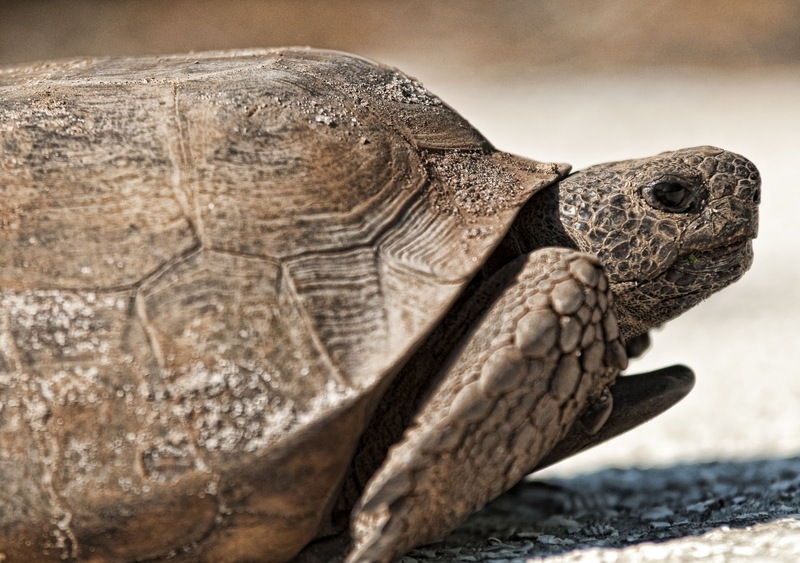 You captured the color and texture of both the birds and the tortoise extremely well. Thanks so much Laurence! I appreciate all your feedback. Gorgeous photos of a very special bird! I saw my first Florida Scrub Jays earlier this year during the Space Coast Festival.